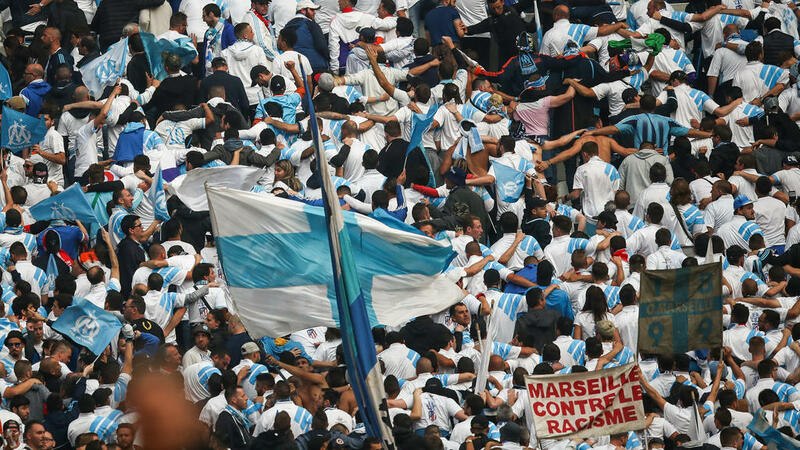 Balotelli has helped kick-start Marseille's chase for European football with seven goals in 10 Ligue 1 games since arriving from Nice in January but left the field with a thigh injury 12 minutes before the break. However Rudi Garcia's side move into the European places after squeaking past Nimes in the enigmatic Italian's absence, taking the three points thanks to two goals in two second half minutes from Valere Germain and Luiz Gustavo. They now sit fourth in Ligue 1's Europa League spot on 51 points, five behind third-placed Lyon -- in the final Champions League spot -- with six matches left to play and a clash between the two sides to come at the Stade Velodrome on May 12. Nimes sit 10th despite Teji Savanier getting the away side back in the game with a 82nd minute penalty following Boubacar Kamara's handball. Bernard Blaquart thought his side had a golden chance for an equaliser in the final seconds when referee Frank Schneider blew for another spot-kick in the fourth minute of added time when Marseille right-back Bouna Sarr handled the ball after falling over in his own area. However after consulting with the video assistant referees Schneider ruled out the penalty for a trip on Sarr.